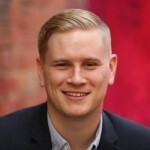 Many Australian and New Zealand Not for Profits are facing significant IT challenges that are impacting their overall productivity, according to the results of a new survey by Infoxchange, Connecting Up and Techsoup New Zealand. The ICT in the Not-For-Profit Sector Survey questioned more than 600 organisations of varying sizes from across the Not for Profit sector, predominantly in education and training, community development, health and youth services. The survey found that the key challenges faced by Not for Profits included difficulty in securing skilled IT resources, determining areas of where to direct their IT spendings, and providing affordable training. In terms of planning, the survey found that almost half of the organisations that do not have an IT plan in place reported having ‘basic or challenged’ IT capabilities. As well, most organisations only spend around three percent of their total operating expenditure on IT. Cloud use: 24 per cent of organisations currently use the cloud. A further 22 per cent plan to move to the cloud, but a large 54 per cent do not plan to. IT capability: Base technology is considered most important followed by IT skills, support and service delivery systems. Online presence and infrastructure: Facebook and Twitter are most popular for social media; one in eight PCs are still running the outdated computer operating system Windows XP (released in 2001). Client management: Nearly half of all organisations do not have access to a single client view. Priorities: Top priorities include improving websites, making better use of social media, and upgrading IT infrastructure. David Spriggs, CEO of Infoxchange, said shrinking supporter engagement and decreased funding across the board have created an urgent need for Not for Profits to become more productive and effective. “Historically, Not for Profits have invested mostly in frontline service delivery, where their dollars have the most impact, but we have found that the lack of investment in IT is creating a number of challenges including decreasing revenue,” Spriggs said. “30 percent of organisations that rated their IT capability as ‘challenged’ reported a decrease in revenue over the last 12 months, compared with only 11 percent that rated their IT as ‘leading’. “Without the right technology to drive supporter engagement, facilitate service delivery, measure client and community outcomes, and communicate success, Not for Profits will be unable to compete into the future. Anne Gawen, CEO of Connecting Up, said Not for Profits are struggling to keep up with the rapid changes in technology and don’t always know how or where to invest their efforts. “While many Not for Profits are doing very well, around half of the organisations surveyed have difficulty identifying what to do to improve their IT and finding the right people to implement these changes,” Gawen said. “The insights from our survey have helped us understand these challenges and what is working well, as well as where organisations could improve their technology use. The report was completed in partnership with management consulting firm, Nous Group.